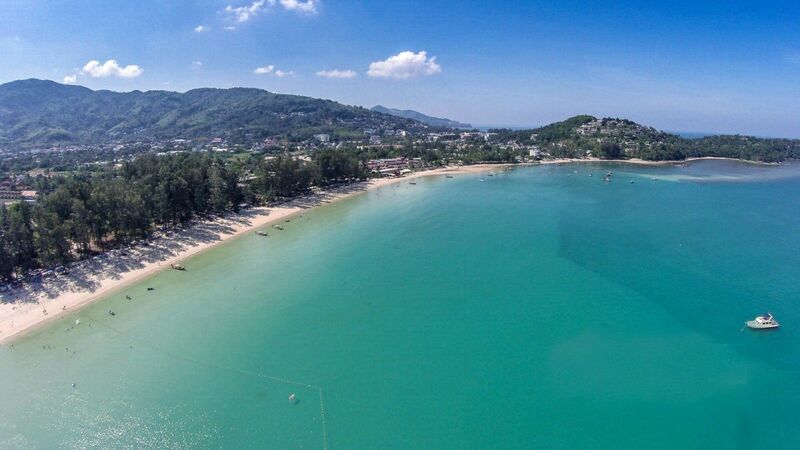 Phuket’s beaches have undergone a substantial upgrade in the last five years after the 2014 military government swept commercial businesses from the sands of west coast Phuket. Little shanty restaurants, the ubiquitous plastic sun lounges and tatty old umbrellas were removed. After the dust settled we’ve now got limited chairs and umbrellas for rent along some of the beaches, not all. You’ll still find beach vendors on Phuket’s best beaches, jet skis and parasail rides plying their trade on some of the busier beaches these days but it’s a much less invasive experience compared to pre-2014 when it was, for most, getting out of hand. So many of Phuket’s beaches now truly look like the travel brochure photos, at last – gone are the wall-to-wall sun lounges and umbrellas. A picture-postcard beach in the south of Phuket with a landmark hotel overlooking the beach at one end and a protected tidal lagoon inlet, popular with young and Thai swimmers, at the other. The beach is unusual for having virtually no development along the area behind the beach. This is partly due to a temple located adjacent to the beach. But there’s still a small row of little eateries behind the beach. 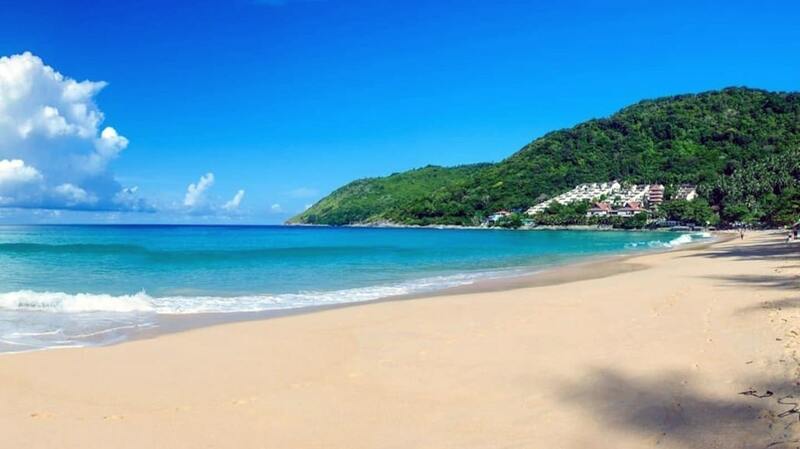 There’s also a large man-made lagoon behind Nai Harn Beach which is popular with families including a little island in the middle which is always busy with picnickers on the weekends. There was a minor scandal in 2016 when the local Mayor proposed a Hollywood Museum (of all things!) on the foreshore reserve. The idea was promptly dismissed and forgotten. 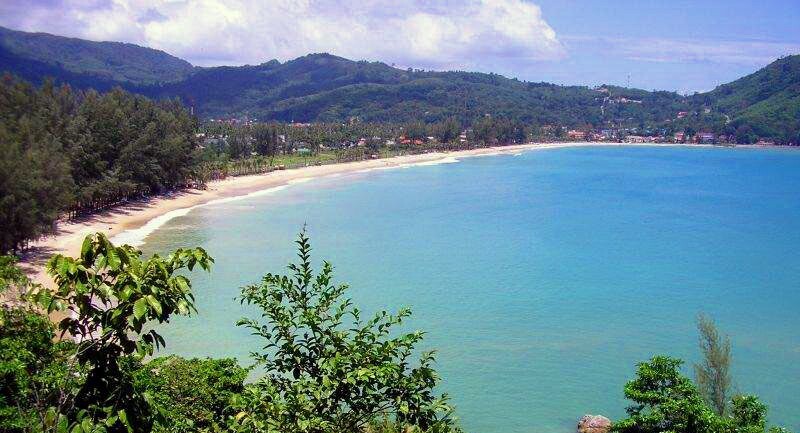 One of the most popular beaches in Phuket, a crescent-shaped beach which has the best surfing on the island. Even though Phuket’s west coast is not known for good surf at least you’ll catch a few waves during the monsoon months – May to November. The beach has a clump of cool beach bars at the southern end and a few large hotels which provide access directly to the beach. There’s a very cool flow-riding place called SurfHouse Phuket just behind the beach. A very cool way to spend a few hours, day and night, particularly if the waves are a bit challenging on the real beach. 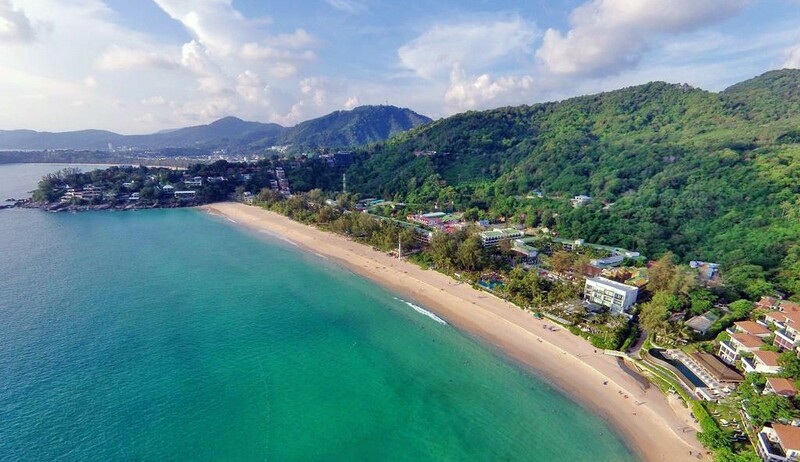 Famous for one thing – getting great shots of planes as they take off and land at Phuket International Airport, Nai Yang Beach is bordered by parts of Sirinat National Park at one end and a series of bars, shops and small hotels at the other end. There’s lots of excellent little restaurants along the beach, at all price points. At the northern end of the beach (there’s a car park on the northern side of the Airport perimeter) you can take amazing photos of jest as they take off every few minutes. Find out more about taking the perfect plane pic HERE. Kamala’s foreshore is undergoing somewhat of an upgrade with the northern end of the beach now being developed with up-scale beach clubs and condos. Many locals aren’t happy about the changes to their quiet little seaside village. Still, the developments will provide new services and employment and drag some new money into the town. Kamala’s Beach is a very popular and provides some mostly safe swimming with the shallow water stretching out further than other beaches. Very good for families with young children. Naithon Beach was one of the beaches most affected in the Great Beach Clearout of 2014. Gone are the many, many little restaurants dotted along back of the beach. They’ve been replaced by newer restaurants on the other side of the road as the area starts to raise its profile. 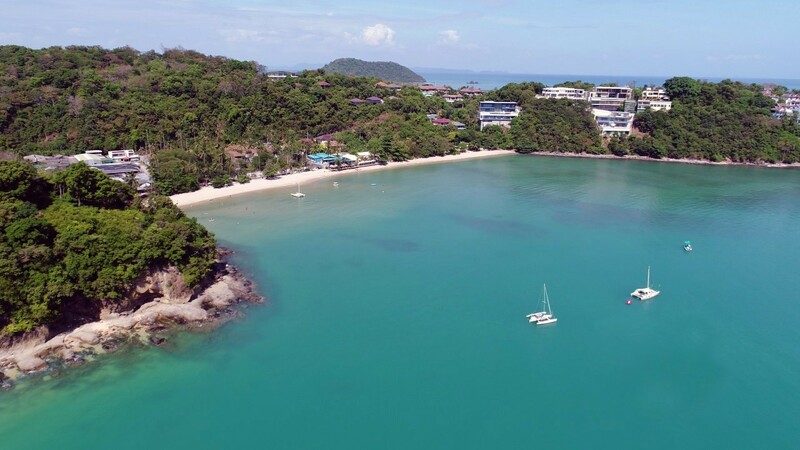 At one end of Naithon Beach is the five-star Trisara, at the other end the Pullman Phuket Arcadia Naithon Beach, both upscale and providing the local restaurant and service providers with a never-ending source of tourists. Can get quite rough when the monsoon surf rolls in. 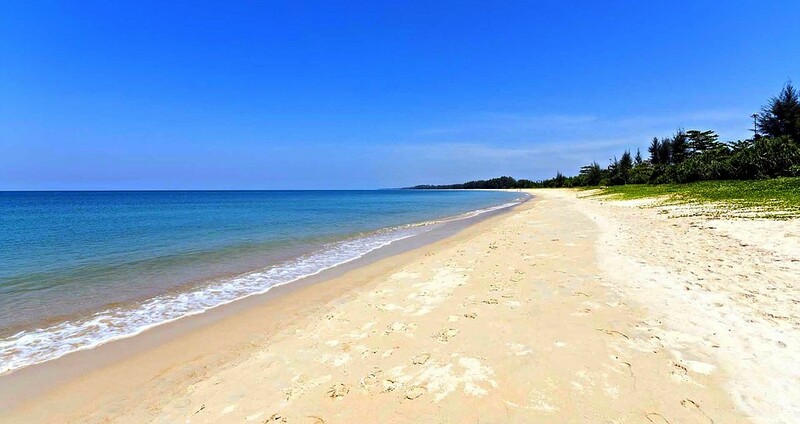 Ao Yon is the only east coast beach to make the list but its richly deserved. The beach is only small and lacks the expanses of sand of the west-cast beaches. But as a quiet spot for the family to relax the beach has a lot to offer. There are lots of little bars and restaurants lining Ao Yon. There’s a really cute little resort called The Cove where you can catch a light bite, some sunset drinks or stay a few days. There also a great little bar and Thai restaurant there called The Ship Inn which has been an established favorite for 12 years. Kilometre after kilometre of long beaches – often you’ll never see another beachgoer all day in some parts of the beach. There’s now an excellent selection of five star hotels along the Mai Khao stretch although the area is a bit removed from the rest of Phuket’s busier locations – Patong is a good hour’s drive from Mai Khao (for some people that may be a good thing). 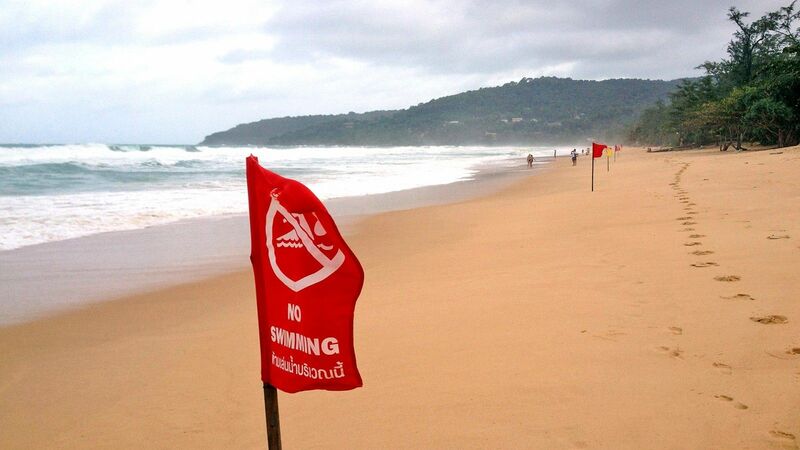 During the monsoon the beaches can be very dangerous with a shoreline ‘dump’. The water gets quite deep very quickly off the beach and this brings in the big waves right to the shoreline. But the beaches are clean and uncluttered. Bang Tao is a vibrant little community and the beach is extremely popular with locals, tourists and expats. 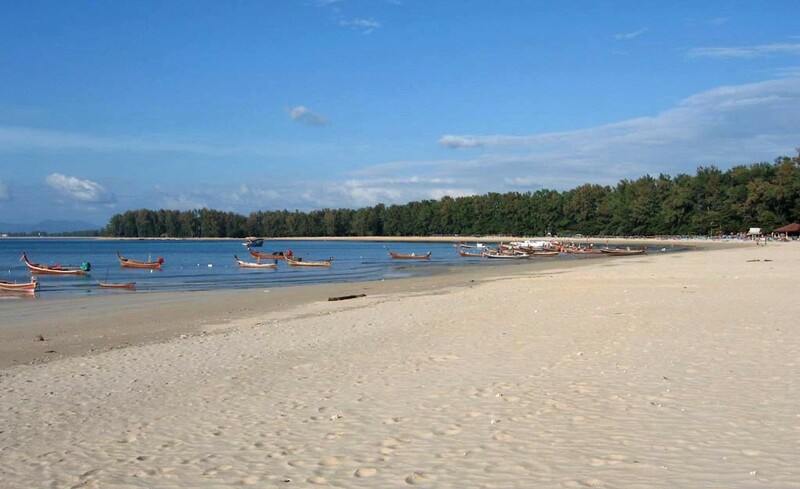 It’s taken over as the area’s most popular beach after Surin lost its crown when the bulldozers removed the line of popular resaurants and beach clubs. There’s plenty of natty little bars, restaurants and even hotels in behind the trees at Bang Tao – 3,4 and 5 star. 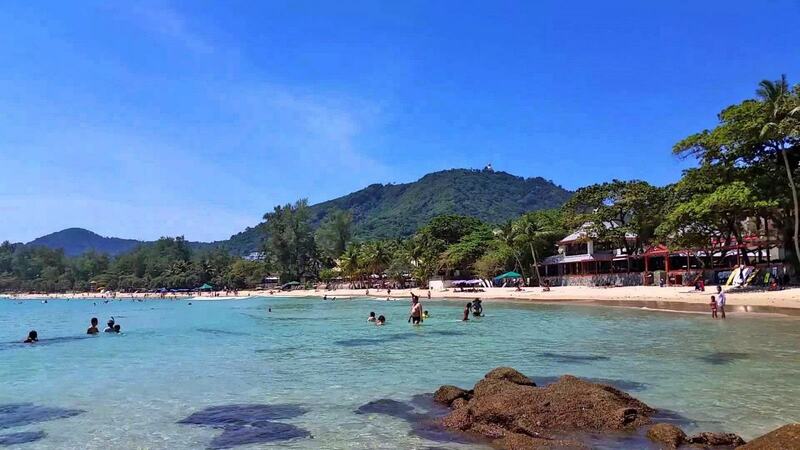 ’Noi’ is the Thai word for ‘small’ and Kata Noi is the small cousin of nearby Kata Beach, just to the north. The beach, whilst small, is one of the cleanest beaches on the island due to the presence of the Katathani Resort which keeps the beach areas pristine. If you want something a little quieter and relaxing Kata Noi is worth the journey. It’s also, as its name implies, one of the smaller beaches on the island. 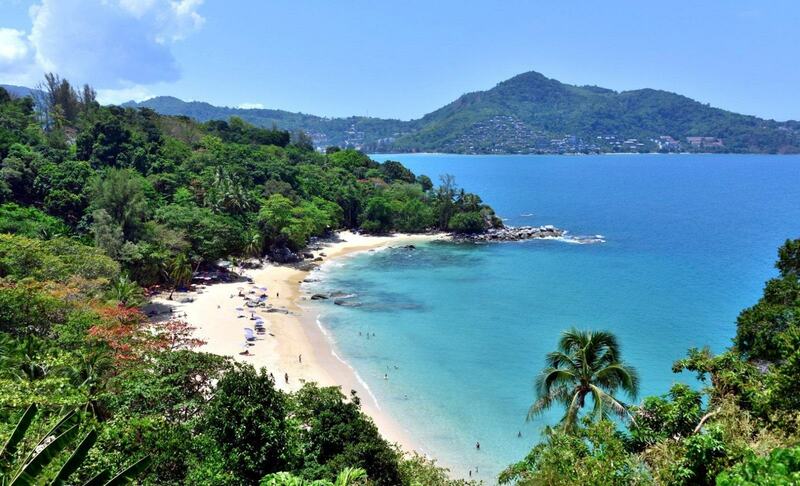 Two of the island’s icons, the Villa Royale and the Mom Tri’s Kitchen, overlook Kata Noi beach. 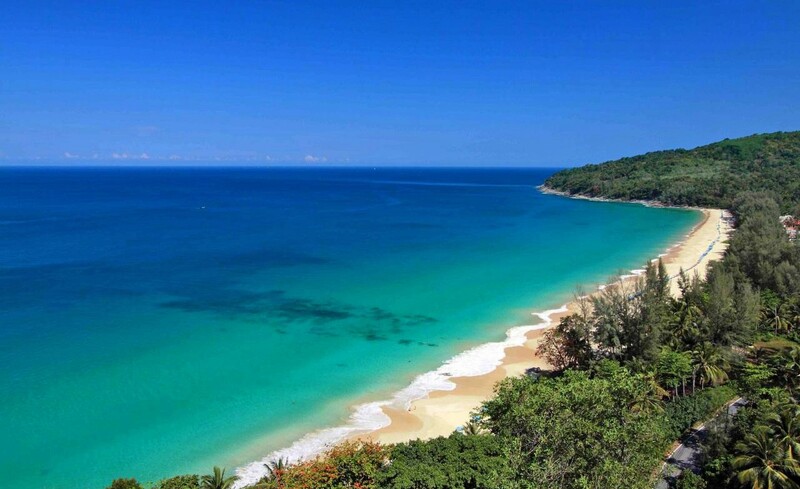 A worthy inclusion in Phuket Top 10 beach list. 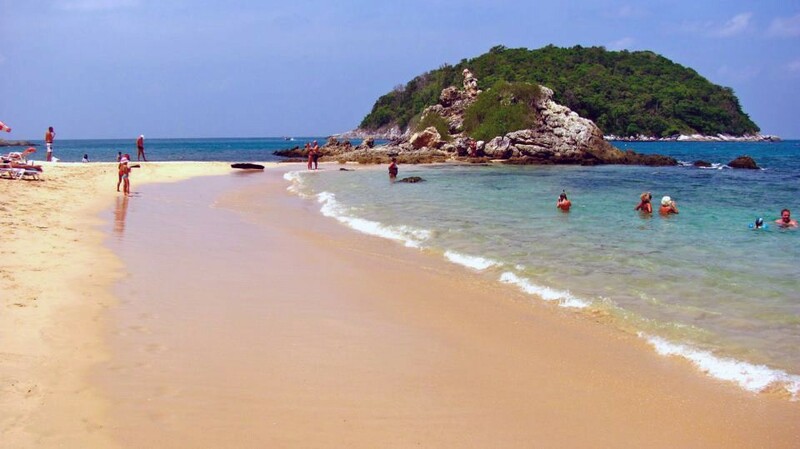 Just south of Nai Harn and, arguably, the smallest beach in Phuket. There’s rocky areas with end of the tiny stretch of sand. There’s always a vendor providing drinks and food comes from the small resort on the other side of the road. A little piece of paradise is yours. There’s not a lot of parking there so a motorbike will be your best bet to get there. It’s the last beach on the southern end of the west coast before you get to Cape Promthep, the very southern end of Phuket. Yes, this is Number 11 but deserves its own listing. This was once a bouncing, vibrant beach with limited access through a private property. But a long-running dispute closed off the access to the beach. These days you can only reach Laem Singh by boat. It’s pristine and pretty, and far from the madding crowds of the beaches north and south, Kamala and Surin. To get there you’re going to have to do a bit of local research but look for a long-tail boat at Kamala or Surin beaches and they’ll happily take you around to the beach, for a price. • There is no such thing as a ‘private beach’ in Thailand. Whilst some resorts may take up an entire beach you are still entitled to go swimming there although it would be polite to ask first. • Swimming can be extremely dangerous during certain times of the year – May to November. Whilst lifeguards patrol most of the popular beaches there are time when lifeguards may not be on duty. If there are red flags along the beach DO NOT go swimming. • If you go to a beach in Phuket please take any disposable rubbish with you and deposit in the bins. • The monsoon also brings in the jellyfish, mostly the portuguese man-o-war (it’s not actually a jellyfish). Whilst rarely fatal they might give you a painful sting. The more dangerous box jellyfish is not a problem in this area of the Andaman Sea.